There’s more to Music City than a flashy row of boot shops and honkytonks. Nashville’s downtown scene is swell: The strip of bars and shops at Broadway and Fifth Avenue South is a classic, and you can never go wrong in Opryland. But venture beyond Nashvegas. You’ll be rewarded with a grand old time. New York has Brooklyn, Cincinnati has Over-the-Rhine, and Nashville has East Nashville and 12South, two concentrated areas of shops and restaurants, most of which confidently trot out the artisanal buzzwords of the day (house-made, farm-to-table…you get the picture). East Nashville is just a short jaunt over the Cumberland River. Our favorite spot was a mini-mall on one main drag (Gallatin Avenue) with a half-dozen shops at various points on the hipster spectrum. The hyper-curated Sisters of Nature boutique is a little corner of SoCal; Kitty Nashville has a Southern-fried Urban Outfitters vibe; Fuselage is almost aggressively boho, packed to the rafters with literal piles of new and vintage stuff; and Barista Parlor is a roomy refuge for fancy coffee-lovers. A few blocks away is the Five Points area; its Five Points Pizza parlor with by-the-slice specials is the ideal district ambassador. Pop around the corner to Pied Piper Creamery for a scoop of Blondes Have More Fun! (white chocolate custard with blondie brownie pieces). 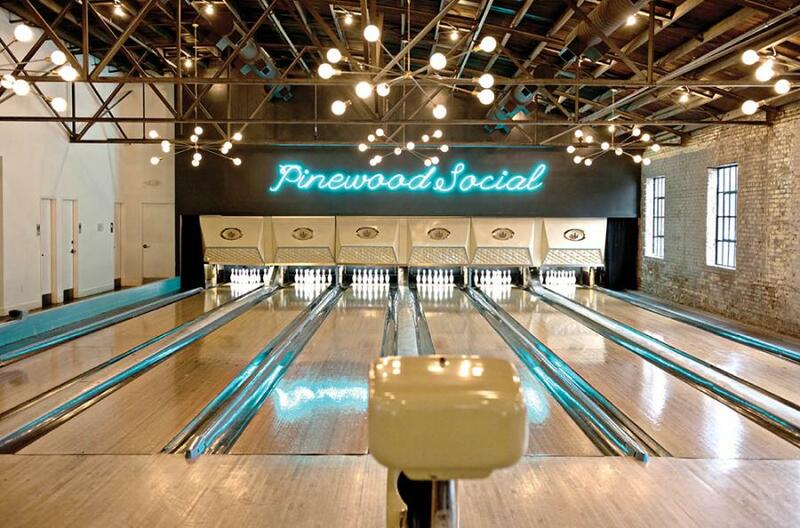 While it isn’t quite across the river, Pinewood Social totally has an east-side mentality, with an upscale menu and a snappy design aesthetic. We love a good mocktail, and Pinewood’s pineapple-mint number with lime and orgeat (that’s almond syrup) pulled it off. There’s also a full bar, coffee stand, and about a million places to sit and hang out—including a bowling alley ($40/hour for six people; includes shoe rental) and two outdoor pools and a bocce court (those are free!). And the hours are as good as it gets: You could arrive at 7 a.m. and not come up for air until 11 p.m. Spend the next morning at The Family Wash, another of Nashville’s open-all-day establishments and an unfussy place to eat massive pancakes. 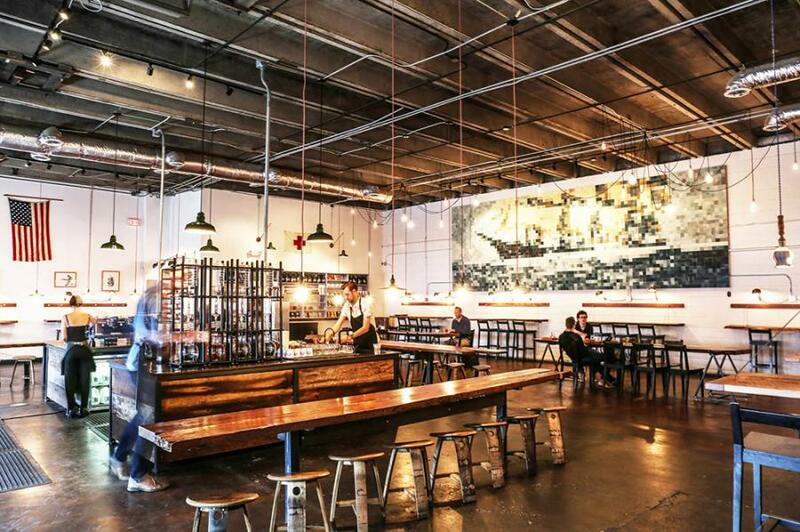 12South has evolved into its own little microcosm of all-things-Nashville. The walkable neighborhood has all the destinations you’ve come to associate with revitalized areas, such as Five Daughters Bakery (get the The 100 Layer Donut), Lebanese eatery Epice, and cool-girl clothier Emerson Grace. The real indicator that these ’hoods are here to stay? There are new condo developments on practically every corner. Nashville has a long history of taking in Kurdish refugees, the first of whom arrived in the 1970s (with many more following in the 1990s). Cut to 2016, and thousands of Kurdish people call the city home. 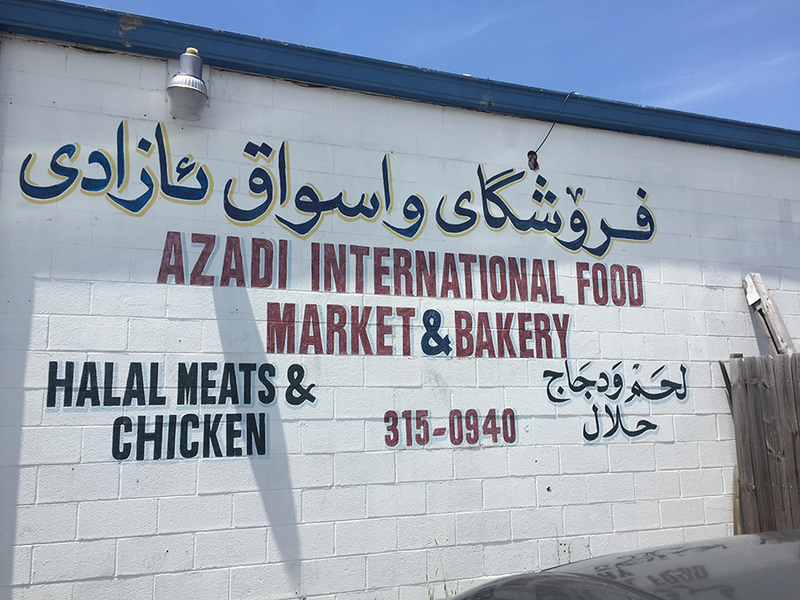 The center of that community is on Nashville’s south side, where you’ll find a cluster of food markets, shops, bakeries, and the city’s only Kurdish mosque. The best introduction to Little Kurdistan is a personal tour by one of its most enthusiastic advocates: Shirzad Tayyar. The 25-year-old came to the area as a small child, when he and his family were forced to flee Kurdistan in the 1990s. As an adult, he began organizing Little Kurdistan tours to introduce his community to the city. For a $5 fee, you’ll walk through Salahadeen Center of Nashville (the aforementioned mosque), the Azadi International Food Market & Bakery (where you will try seconds-old bread made right there in the shop), Baklava Café (where you’ll sample the namesake treat and puff on a hookah), and more. All the while, Tayyar, who has an interest in politics and hopes to attend law school, will explain the history, customs, and personalities of the Kurdish people. OK, so we did stick with this classic Nashville venue, mainly because it’s a castle planted right in the middle of the city and we couldn’t resist. 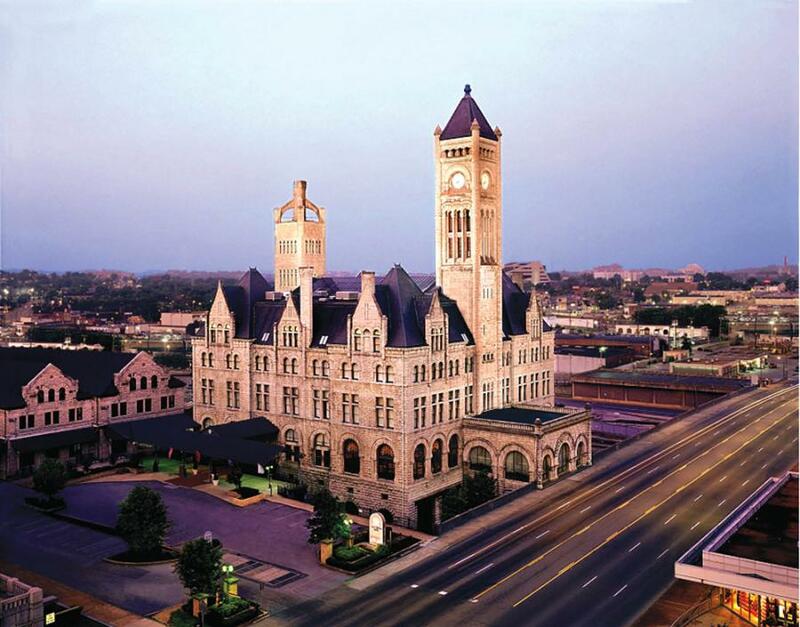 The former railroad station opened in 1900, saw scores of travellers during the glory days of American passenger rail service, and was re-dedicated 107 years later as a boutique hotel. The National Historic Landmark now clocks in at 116 years old, looking studly as ever with its massive barrel-vaulted stained glass ceiling. Better yet, it’s a handy home base for exploring the city on foot or by car.